Outstanding. Old fashioned but modern, straightforward, and outstanding. 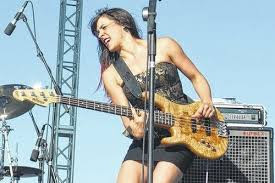 That just about sums up this second album from bassist and singer – and what a singer - Danielle Nicole. Her debut Wolf Den was one of my favourites of 2015, and Cry No More maintains that standard with ease. Monophonics, plus Nicole’s fellow Kansas City resident Mike ‘Shinetop, Jr’ Sedovic. And that’s before we even get to a handful of guest guitarists who do their bit alongside Schell. The real star turn though, is Nicole’s voice. It’s a rich and resonant thing, with unusual strength at the bottom end, but she can also make it leap and soar and twist and turn. For spells she’s content to stroll along like a gymnast who gets your attention for nothing more than the poise of her walk, before suddenly bursting into a vocal tumbling routine that leaves you agog. The old fashioned aspect is that Nicole’s oeuvre is soulful blues, with the emphasis on the soul - you could time travel back to Sixties Detroit and Memphis on the back of this material. Much of it is self-penned by Nicole, sometimes in harness with Braunhagel, with a few covers thrown into the mix that fit like a glove. Opener ‘Crawl’ sets the tone, with a little melodic phrase that puts me in mind of Eric Clapton and BB King doing ‘Riding With The King’. It features some warm piano from Sedovic and stinging guitar courtesy of Nicole’s brother Nick Schnebelen. It also displays that modern aspect I mentioned – a crisp and powerful production from Braunhagel from his booming kick drum upwards, which still leaves room to foreground a great vocal from Nicole. 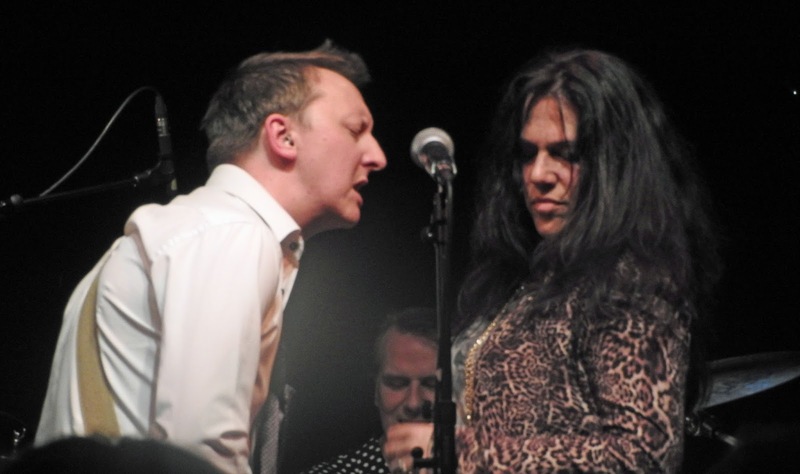 She can do sultry too, as on the Bill Withers song ‘Hot Spell’ with its laid back funky groovy, and her own rather different ‘Baby Eyes’, which essays a jazzy New Orleans vibe with tinkling piano from Sedovic and restrained injections of guitar from Brandon Miller. Memphis beckons on ‘Burnin’ For You’ and the title track. The former has a simple, catchy chorus, with Nicole’s voice progressively taking wing. The latter has a simple melody, and a real old soul feel coloured by organ from Mike Finnigan and low key guitar from Schell. Contrastingly there’s a hint of country to ‘Bobby’, with a quietly yearning quality to Nicole’s vocal at first, before she reaches for the skies. There’s more variety still with the convincing soul ballad ‘My Heart Remains’, while ‘Pusher Man’ is upbeat R’n’B of a kind that would have fitted smoothly into Samantha Fish’s retro covers album Chills & Fever. And to close there Blind Willie Johnson’s ‘Lord I Just Can’t Keep From Crying’, on which Luther Dickinson contributes slide guitar to add to the mood of updated blues spiritual. And there’s more besides. In fact if I have one concern about Cry No More, it’s that at just over an hour it feels a tad overlong – never mind the quality, you start to feel the width. But it feels a bit mean to complain about having too much of a good thing, doesn’t it? I said this album was straightforward, and it is. There’s nothing tricksy or avant-garde shoe-horned into it in an effort to be cool or credible, no force-fitting it into some pre-fabricated modern style. Danielle Nicole is too good a songwriter and singer to need that sort of crap. Cry No More has variety, it’s loose-limbed and swings, and it’s delivered with conviction. Go listen, and find out for yourself. 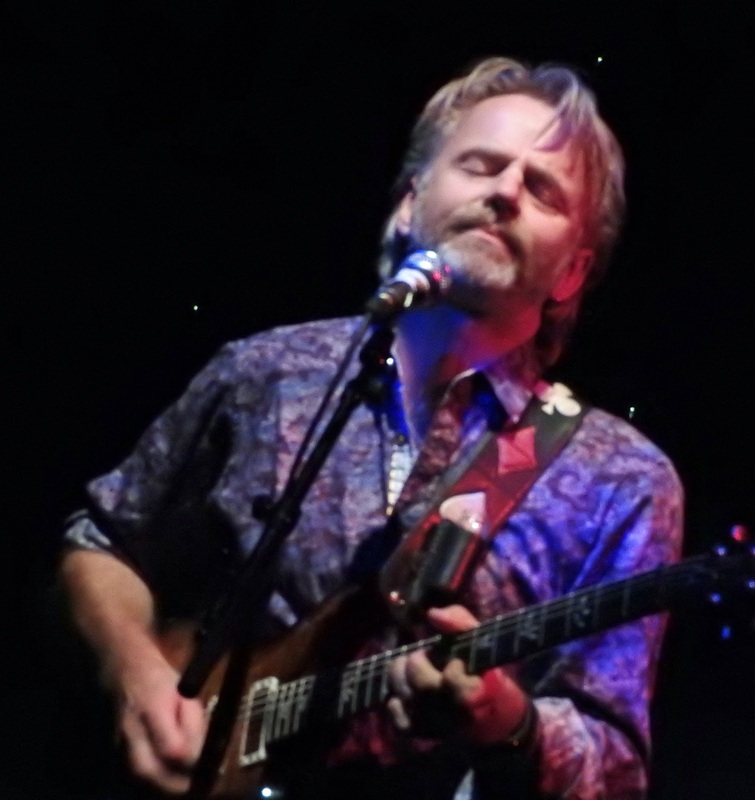 Australian guitarist and vocalist Geoff Achison brings some much needed warmth to a chilly Sunday night in Edinburgh, and it’s not just a transfusion of Aussie sunshine. Achison and the UK version of his Souldiggers are purveyors of a singular brand of laid back, soulful funk. Stylistically and vocally the richness of Chris Rea springs to mind, and Dire Straits on some levels, and – er, Steely Dan? Okay, well, we’ll get to that. Geoff Achison - "Yay, tell it man!" Paul Jobson on keys is an effervescent presence too, but in a different vein offers some nicely liquid piano accompaniment to the mellow ‘My Work Is Done’ (I think), before Achison cranks it up, who then adds some suitably wiry slide to the loose funk of ‘High Wire’ before his band take five as he straps on an acoustic. On ‘Stoned Again’, by his Dutch-Australian mentor Dutch Tilders, Achison delivers a nifty bit of picking on his solo – and there’s another Knopfler echo. ‘Delta Dave’ meanwhile, from his latest album Another Mile, Another Minute, ripples and weaves with ease as it pays a tasteful tribute to a famous Melbourne blues busker. With the band back on stage they get into Muddy Waters’ ‘Sugar Sweet’, turning it into a funky jam. It’s blues man, but not, I’ll warrant, as Muddy knew it. And hey, Kelly, bass man Andy Hodges and Jobson on keys cook it up pretty damn good. They close with ‘Working My Way Back Home’, also from the latest album, which exemplifies Achison’s classy songwriting – oh yeah, and his knack for some Steely Dan jazzy chordings. Told you I'd get there. The shuffling ‘Summer Time’ is a good time encore, and what better title to sum up the warm and mellow tones of Geoff Achison and the UK Souldiggers? Get out and see them, and bask in the rays. Look up details of Geoff Achison's UK tour dates till mid-April here. She’s an old pro is Sari Schorr. In the nicest possible way, of course. It’s the first time I’ve seen her live, and first impressions are exactly as I expected - an old-fashioned rock chick of the classiest kind. Coming on like a throwback to the early Seventies, she’s got presence, a Cheshire Cat grin, and a Masters degree in Hair Tossing. Okay, some of her chat is cheesy enough to be grilled on toast, but I’ll forgive her that in the context of a crackling performance like this. It helps when you’ve got a Premier League band behind you, of course. I’ve not come across drummer Roy Martin before, but he slots in well alongside guitarist Ash Wilson, Mat Beable on bass, and Bob Fridzema on keys, and collectively they cook up a deliciously chunky sound on opener ‘Revolution’, and follow it up with a rolling groove on ‘Damn The Reason’, a strong song with impressive dynamics and a subtle keyboard undertow from Fridzema, before getting funky on ‘Cat And Mouse’. They may have been newly put together this year, but these guys are locked in from the start. 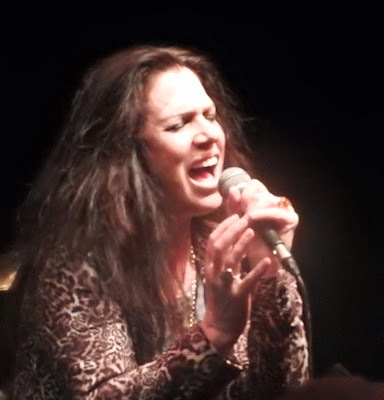 Schorr’s default vocal style is strident blues rocking, with buckets of controlled power. But she can get breathy and slinky too, most notably on ‘I Just Want To Make Love To You’ and ‘Kiss Me’ – the former delivered in a style redolent of an Ike and Tina bump’n’grind. She can certainly sell a song, most dramatically on her ferocious, ink-dark take on ‘Black Betty’. She may talk up her dread of what the song demands, but the performance has a ton more weight than on album, and gets to the suffering that Lead Belly and his predecessors conveyed with the song. In a different vein, she displays vulnerability on her Bette Midler-esque ballad ‘Ordinary Life’, with nicely halting piano from Fridzema. After which, with no ceremony whatsoever, a familiar rat-a-tink-tink intro from drummer Roy Martin sends them plunging into a clatteringly good take on Zep’s ‘Rock and Roll’ that has the Edinburgh Blues Club patrons bouncing – while Schorr nails the vocal so well that she defies any invidious comparisons with Percy Plant. If Ike and Tina Turner came from Skegness and Brooklyn . . .
Other highlights include ‘Demolition Man’, one of my favourites from A Force Of Nature, on which Bob Fridzema yanks out a gut busting Hammond solo, bracketed by two blistering spots from Ash Wilson. 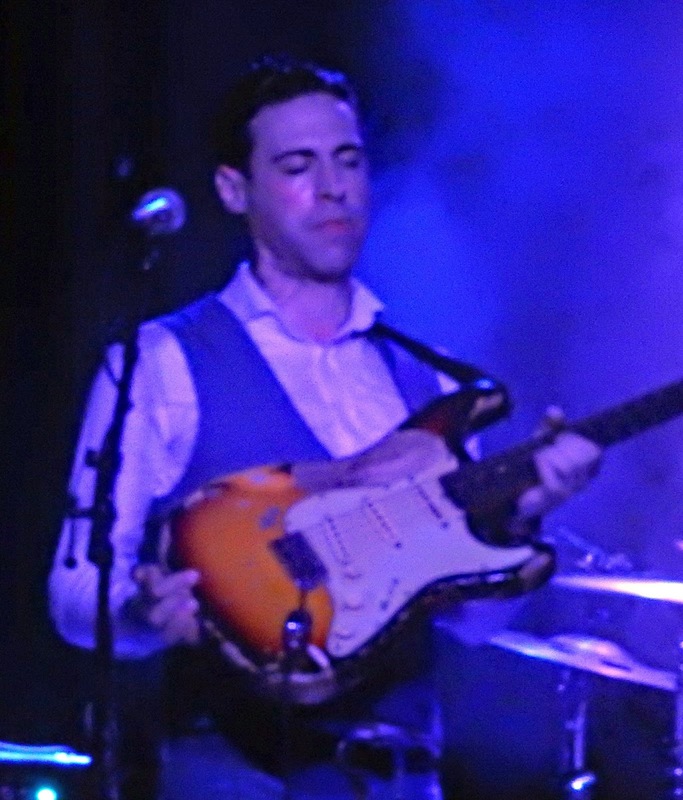 Wilson may be the gurning-est guitarist you’re likely to see this side of Robin Trower, but he is also very, very good – and Schorr vacates the stage to let him sing ‘Peace And Love’, from his own album Broken Machine, just to prove the point. With its hints of Queen Of The Stone Age it adds another twist to a varied but coherent set. Two other songs trail the new album due in September. Bad Company’s ‘Ready For Love’ is a good choice of cover, a neat fit for their style but not something bleedin’ obvious. But new original ‘Maybe I’m Fooling’ also resonates with the audience right away, a reminder that Schorr isn’t just a top drawer singer, she comes up with consistently good material too. They encore with the powerful ‘Aunt Hazel’, capping off an evening that fairly sprints by. Time flies when you’re having fun, and it’s noticeable that Schorr and her buddies enjoy themselves along with the audience. As they should, when they’re delivering a performance as relaxed but turn-on-a-dime tight as this. They’re going to be on the road plenty this year – catch ‘em when you can. Sari Schorr is touring France, Germany and Britain till May. Details here. And lo, the joint jumped. The snow may have been receding by last Saturday night when The Temperance Movement hit Glasgow, but transport was still a bit iffy, and it was still bloody parky to be going out for the night. None of that was stopping a healthy crowd from piling into the Barrowlands though, and proceeding to go nuts. There are a few reasons for that reception, I reckon. First up, there are the songs. This set feels like it should have the strapline “And the hits just keep on coming”. Even the numerous selections from A Deeper Cut, which has only been out for a couple of weeks, are instantly greeted like old friends, right from the moment the entry tape of ‘The Stripper’ gives way to them blasting through ‘Caught In The Middle’. Songs like ‘Right On Time’ and ‘Ain’t No Tellling’ combine big hooks with even bigger riffs, the latter boogie-ing along in Faces-like fashion, and they’re particularly adept at embroidering a rhythm guitar riff with a lead guitar lick. And when they take it down with the haunting opening of ‘Another Spiral’ they still find their way to a sizzling guitar solo and booming finish on drums that gel like the moving pieces in a kaleidoscope falling into a coherent image. They also chuck idiosyncratic lyrics into the mix which give the material a distinct personality - it may not be the same as the beat aesthetic evident in Mike Scott’s wordsmithery, but there’s still a poetic sensibility at work, making use of unusual images, alliteration, internal rhymes, and occasional phrases repeated sometimes just for the rhythm. Second, they sure can rock a bit, not least when they brew up a storm on ‘Battle Lines’. Meanwhile Paul Sayer contributes telling slide guitar , to complement solos from Matt White and himself that range from spiky to wailing. And then there’s Phil Campbell, a front man who is a true one-off. He’s only a little guy, dwarfed by Matt White to his right, but he’s got one hell of a big voice - and also a sensitive one when required, as on the come-down set closer of ‘A Deeper Cut’ itself. Often he also makes singular use of rat-a-tat-tat phrasing and snap, crackle and pop consonants that go hand in hand with the lyrics – and make for admirable diction to boot. 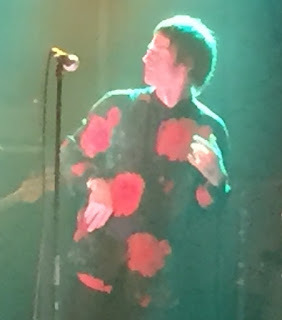 segue into the showstopper that is ‘Built-In Forgetter’, and has ants in his pants while sitting to play rock’n'roll piano on the encore of ‘Backwater Zoo’. You get the picture? This was a great show – even if it confirms my view that TTM have a penchant for ‘wrong’ song titles. Why ‘Built-In Forgetter’ rather than ‘Sister Mercy’, to quote just one example? I doubt that will cost them though. All those bloke-ish indie rock bands like Kasabian who do the rounds at the big festivals had better look over their shoulders. Given half a chance The Temperance Movement will wipe the floor with them. All the way from America, support band Thomas Wynn & The Believers complement the headliners nicely. 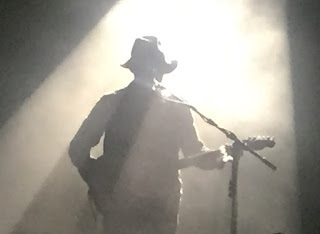 If Drive-By Truckers often encapsulate a drawling collision between rock and country music (as opposed to playing country rock), then the Believers sometimes conjure up a collision between indie rock and the kind of keening folk-Americana represented by Fleet Foxes. Originals like ‘I Don’t Regret’ and the subdued ‘Wade Waist Deep’ make a positive impression, and one testifying stomp has echoes of ‘Gimme Some Lovin’’, while a cover of ‘Atlantic City’ starts cool and ends up towering. Sadly the harp of Chris Antemesaris is inaudible for half the set, but towards the end it sounds like he’s doing something interesting things with effects, while Colin Fej adds subtle colour on keys. But Thomas Wynn on guitar and his sister Olivia double up on vocals to really good effect. Worth catching. Copenhagen may be wonderful wonderful, as the song puts it, but in February it’s cold, damned cold, even coming from Scotland. Bugger that though, we’re on a mission to see European Blues Award winners Thorbjorn Risager & The Black Tornado on their home turf. The first challenge though, is finding the gig. You see, we thought Taastrup was the name of the venue, like Barrowlands or Empire. But after consulting with the ever helpful front desk in the Bertrams Guldsmoden Hotel, we discover that Taastrup is actually the location of the Teater and Musikhus – and it’s about ten miles from the city centre. So armed with directions we head off into the Baltic temperatures for some early grub, and then on to catch an S-Tog train to the ‘burbs. Out in the sticks, we find we’re not the only ones making a special excursion. There are Danes too who are visiting Taastrup for the first time, so we tag along as one of them navigates with the aid of Google Maps, crossing a bridge over an icy lake to the Musikhus. It’s a modern venue, seated and raked, which could be a bit sterile. It is, however, full. Thorbjorn Risager and pals stroll onstage promptly at 8pm, the man himself perching his lanky frame against a bar stool, and they immediately launch into the kind of rousing R’n'B that’s their stock in trade. And there’s plenty of it to come on belters like ‘Maybe It’s Alright’, the chugging ‘If You Wanna Leave’, and ‘All I Want’. With two guitars in the hands of Risager and Peter Skjerning, plus horns and keyboards, when The Black Tornado dig in, the sound they produce is heavyweight and gutsy, like a locomotive irresistibly powering you along. It’s an interesting experience attending a gig where you don’t understand a word of the between songs chat – Danish not being one of my languages, you’ll be shocked to hear – but the groove of this band is a universal lingo. This isn’t heads down, no nonsense, mindless boogie though. And however polished the band may be as a whole, however strong Risager’s songs, a fair amount of credit has to go to drummer Martin Seidelin. Sporting a red bowler hat that could come from a clown troupe, Seidelin effortlessly varies the rhythms underpinning the songs, and comes up with percussive twists that give them additional character, even if it’s something as simple as a fresh ways of conveying the clacking on the rails of ‘Train’. 'Long Forgotten Track' with its dreamy 'Riders In The Sky' mood, and ‘Drowning’, which sounds as if it originated in a Parisian jazz cellar rather than New Orleans. And there’s their neat reworking of ‘Baby Please Don’t Go’ too, close enough to be familiar, different enough to be – well, different. Risager hops up from his stool now and then to groove along to a sax solo from Hans Nybo or some bar-room piano from Emil Baalsgard, but also to contribute the occasional solo himself. Which leads to one of the highlights of an all round excellent show in the form of ‘All My Love’, on which he conjures up the spirit of BB King beautifully on guitar, while the band similarly nail the kind of big sound that BB brought to the blues. They close out with ‘Let The Good Times Roll’, and an audience that clapped, swayed and sang enthusiastically in their seats is evidence that they did just that. Afterwards I was able to catch up with Thorbjorn Risager, and ask him the obligatory question about how he’d been drawn to the blues. It’s interesting that Stevie Ray Vaughan played a key role, I suggest, because he’s a classic example of the strain in blues music that’s heavily inclined towards big guitar solos – which isn’t really Risager’s approach at all. He nods. I mention that I’d intended to ask him what had encouraged him to form a big band with horns, but that hearing them play the BB King inspired ‘All I Want’ again tonight seemed to provide an answer to that question. Risager agrees right away. En route to another question, I mention in passing that the Black Tornado’s sound often conjures up a Stones-like muscular R’n’B sound, and it’s evidently an observation he’s heard before, but one that doesn’t resonate with him. “People talk about the Stones, but I don’t really hear it. For me ZZ Top were an inspiration, more of a soul-blues-rock thing than 12 bars. Billy Gibbons is a great guitar player of course, but I liked the way he tried to make his guitar sing.” Which is an amusing musical loop, I reckon – a three-piece being an influence on the sound of a seven-strong band. Although listening to the vocal whoops and very Keef-like ringing guitar on the likes of Gibbons and co’s ‘Francene’, you could say that the Stones influence goes around to come around. There’s also a distinctly European side to Thorbjorn’s writing though, I venture. ‘Drowning’ may be swinging jazz, but it has a European flavour to it, while the likes of ‘I Used To Love You’ and ‘Lay My Burden Down’ could be drawing on traditions like chanson and lieder. “Well ‘Drowning’ is actually influenced by East European gypsy folk music,” says Risager, acknowledging the breadth of influences. “I love that kind of stuff – if I wasn’t playing the blues that’s what I’d want to do, be a clarinet player in an East European gypsy folk group,” he laughs. “It always been important to have variety,” he goes on, “although it’s not always on purpose.” As Martin Seidelin wanders past we touch on how drummers like him, who bring flexibility to the party, increase the range of options available. As a final topic for discussion, there’s Risager’s voice, which is a gravelly phenomenon. Are there other singers he’s listened to in order to work out how to get the best out of it, I wonder? Talking to Thorbjorn Risager, it’s easy to discern a real musical intelligence at work behind the Black Tornado. 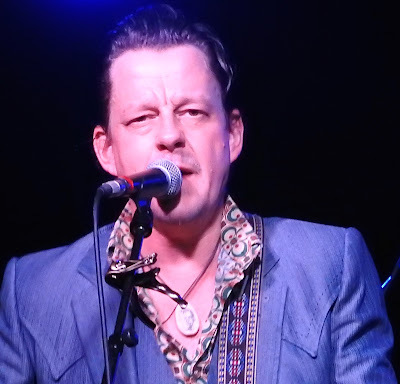 This is a guy who knows his onions, as they probably never say in Denmark, and he’s put together a band and a repertoire that bring something distinctive to the European blues scene. Go get their latest album Change My Game, or their live album Songs From The Road, and find out for yourself.